Posted on December 3rd 2015 by Usman A. Mobile marketing is quickly becoming a messaging go-to for many businesses as either a direct marketing channel or as part of a multi-channel approach. With so many people owning mobile phones, SMS excels as an effective communication tool. 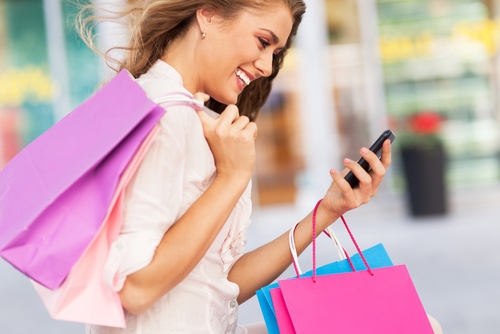 Here are 5 reasons why your customers want you to use SMS texts for your marketing campaigns. If your marketing campaign includes offers then your customers want to know! We all know that the majority of people own phones but not everyone has ever received an SMS from a business, meaning there's a huge gap in the market. Your customers are waiting for offers, so why not send it to them via a channel that isn't full of spam, unlike emails, so they can get to it right away. No more sifting through emails, answering lengthy unwanted phone calls or letting post pile up through the letterbox. We all like receiving texts, especially when we benefit from an offer, are notified of a sale or are reminded of an important appointment. The immediacy of SMS messaging suits us all. Online texting can be benefited by including your branding always a ‘senders name'. This will guarantee the recipient knows who the message is from and will prompt them to acknowledge your message more readily than using a number. A dynamic approach is to personalise your campaigns to the individual. Use the recipients name for that added touch. In accordance with its immediacy and convenience an SMS messaging service is easy for your customer to respond to. With simple, short directions within your message your customer is more likely to engage with your campaign. You can also alert a customer by SMS when they have an email waiting to stop them missing it amongst the spam. The majority of your customers appreciate an SMS message, so it will always look good if you are catering to their needs. By using a mobile messaging campaign your customers know that you understand that their time is important. In a world that is heavily reliant on technology, using SMS will show that your business is progressing and is staying at the forefront of the trend.